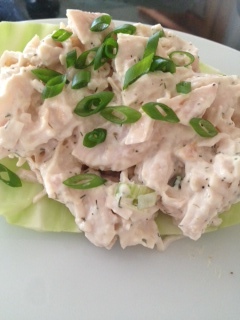 Best Chicken Salad You’ve Ever Had!!! This was FABULOUS! I could hardly wait to eat it, and was getting frustrated with myself because I had to take a picture before I could indulge. I LOVED this. I used Whole Foods rotisserie chicken, which made this even better. It was incredibly easy to make. Combine all ingredients in a large bowl. Enjoy! Next PostChicken Alfredo with Spinach and Mushrooms!